Join us for our annual Easter Egg Hunt. Saturday, April 20, 2019, at 1:00 PM at the Marantette Park in Columbia Falls. 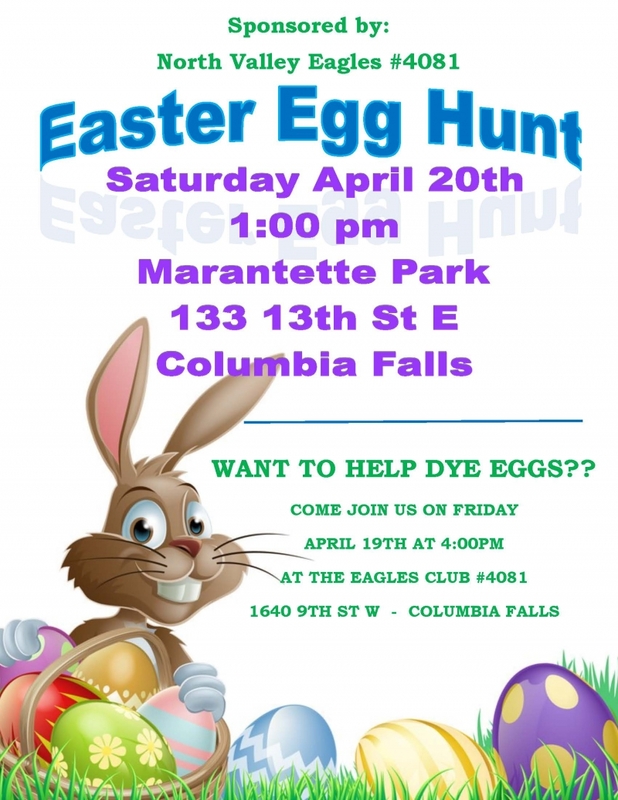 If you want to dye some eggs (we have a hundred dozen or so) but don't like cleaning up the mess join us in the basement of the North Valley Eagles #4081 at 1640 9th St W. Columbia Falls. All ages welcome. We will be dying the eggs April 19th starting at 4 PM.